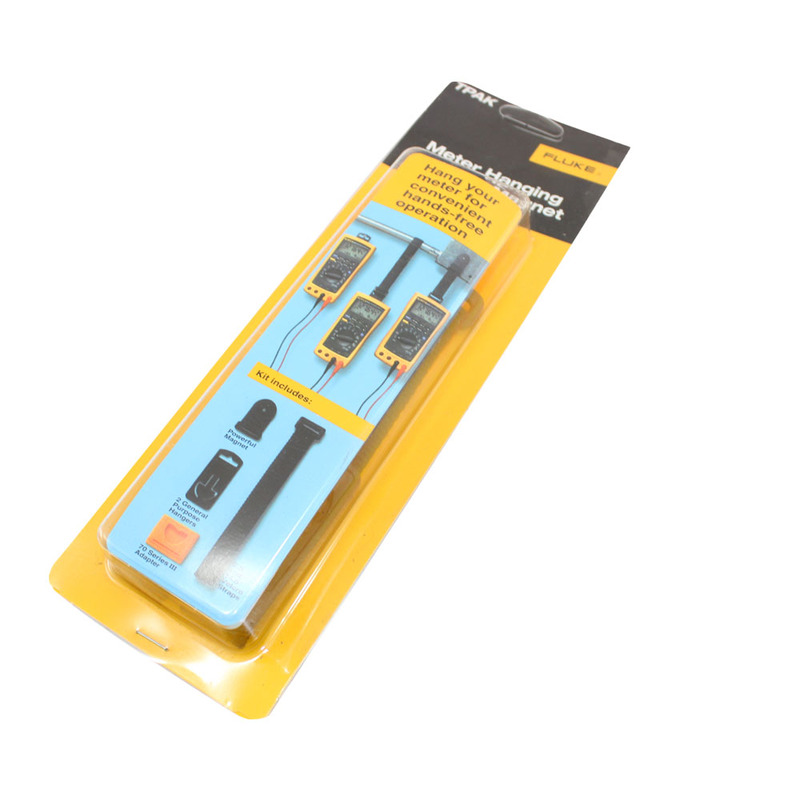 Now you can hang your meter almost anywhere with the new Fluke TPAK accessories kit. 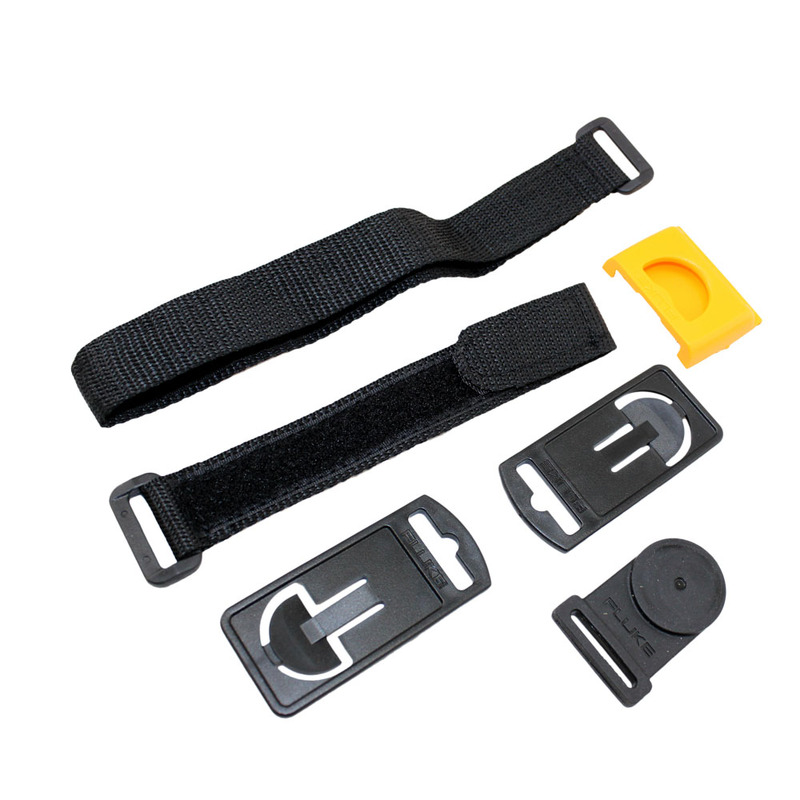 TPAK includes a universal hanger, a magnet, and 9-inch (43 cm) and 17-inch (23 cm) "hook-and-loop" hanger straps. The universal hanger is designed to fit into the special module on the back of the meter. The universal hanger allows you to hang your meter on a nail, hook or other object. You can add a piece of rope, flexible wire or cable to hang the meter in almost any position. The 9-inch (43 cm) and 17-inch (23 cm) hook-and-loop straps are used with Fluke's universal hanger to wrap around and connect to a pipe, beam or any other convenient support structure. And finally, the special magnet accessory is designed to connect to either of the straps. The strong magnet accessory will attach to an electrical panel, a metal doorjamb or any other ferrous-type metal. With the universal hanger, two hook-and-loop straps and the magnet, the TPAK™ solves almost any hanging and positioning problem you may face with your meter.